Previously critical of the former president’s “half-baked Rooseveltian socialism,” by the time of his death The Nation had swung to the left. We saw TR as “a voice crying in the wilderness,” who couldn’t make it to the promised land. 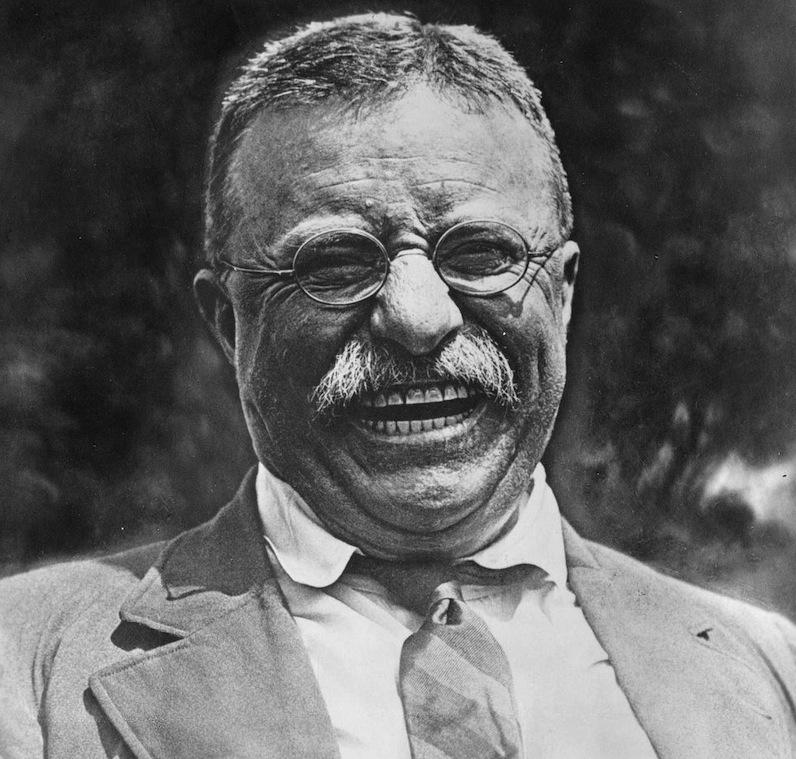 Theodore Roosevelt, date unknown. Photo via the Library of Congress Prints and Photographs Division. The Nation had been a fierce critic of President Theodore Roosevelt’s aggressively expansionist foreign policy and his attempts to place limits on laissez-faire capitalism. When, as ex-president, Roosevelt urged the Wilson administration to enter World War I, the sternly pacifist Nation condemned him. By the end of the war, however, The Nation had undergone a swift and radical swing to the left, and, while it was not reconciled to his positions on foreign affairs and the purifying nature of war, its position had completely reversed on what it previously derided as “half-baked Rooseveltian socialism.” Now, in this editorial published after his death (in the issue dated January 11, 1919), The Nation criticized Roosevelt for excessive conservatism, the opposite of the charge it had tended to level against him not even a decade earlier. More than that of any American President since Jackson, it was his fortune to span two sharply opposed periods of national development, one reactionary, the other radical, between which flowed a broad but turbid stream filled with the wreckage of the one and ill-sorted intimations of the other. The steps which would have carried him definitely over to the firm but rugged ground of the new age he seemed often to be upon the point of taking; but in the end the past held him, and the more daring company of those who saw, or thought they saw, the riches of the new domain which he had pointed out, passed on and left him at one side…. It was the task of Mr. Roosevelt, standing at the watershed between the old time and the new, to point the nation on its way. That he did so, for a time, with brilliancy and power, is to be conceded. His great state papers and public addresses, with their trenchant arraignment of evil in high places, their sweeping demand for encyclopedic reforms, and their stirring appeal to moral rectitude and social sympathy as the mainspring of national life, came as a gospel of a new and lofty Americanism. In any history of the awakening of the American people to such enhanced sense of national integrity and responsibility as they now possess, Mr. Roosevelt will continue to fill a large and distinguished place. Yet his was, after all, a voice crying in the wilderness. He sympathized, but he did not fully understand. He could destroy, but he could not build. He could counsel and exhort with more than a crusader’s zeal, but the holy city of democracy was to be taken by other leaders. And when the nature of the revolution which he had championed, and which he had done more than any other man of his generation to urge upon its course, stood at last revealed in the fundamental radicalism of its programme, he drew back, and thenceforth was numbered with the opposition which he had once defied with unmeasured scorn.